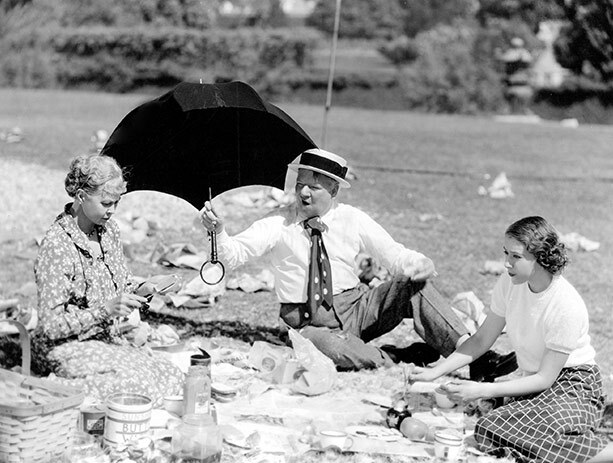 W.C. Fields never found a more true life environment than It's a Gift (1934) to ply his deadpan but hilariously creative humour. His domestic setting is so full of relatable situations and characters, not a single scene (apart from the time period fixtures contained therein) appears dated in the slightest. Instead of the film's gags playing as individual set pieces (outrageously funny as they are), they continue to build on our familiarity with Fields' household members to provide even more hilarious pay-offs as we continue to witness his family's dysfunctionality. All of the brilliantly inspired moments are chock full of verbal and physical witticisms, often occurring simultaneously. They are timed to perfection by one of the great comedic directors of all time, Norman Z. McLeod who also helmed two of the Marx Brothers' most sensationally funny films: Monkey Business (1931) and Horse Feathers (1932). Fields plays his typical curmudgeonly henpecked "master of the house" (as long as it's said quietly enough so his wife doesn't notice), one Harold Bissonette (pronounced 'Bis-on-ay' as many are reminded). In It's a Gift, Fields manages to successfully endear us to his character more than in his other films; continuously put upon, but resilient, he soldiers on wonderfully. Fields himself worked on the screenplay (under the pen name Charles Bogle) along with numerous other writers credited and even more uncredited, but by the look of things, everyone got along famously. Certain phrases from this timeless classic will live on in perpetuity like "What about my kumquats?! ", "Funny thing, they should call you up here at this hour of the night from the Maternity Hospital", "Do you know a Carl LaFong?! ", "Yes! The sun is wrong but your watch is right... of course! ", and so, so many more. And then there's the surprise ending... as blissful as any in cinema's history. This perfect little comedy is exactly what the title proclaims and will arrive on TCM (updated) Monday, December 10 at 9pm PST. A really bad day is in store for anyone who encounters Them! (the giant mutant ants that is). The motion picture, however, is one of the best creature features ever made, and a previous recommendation here. Them! 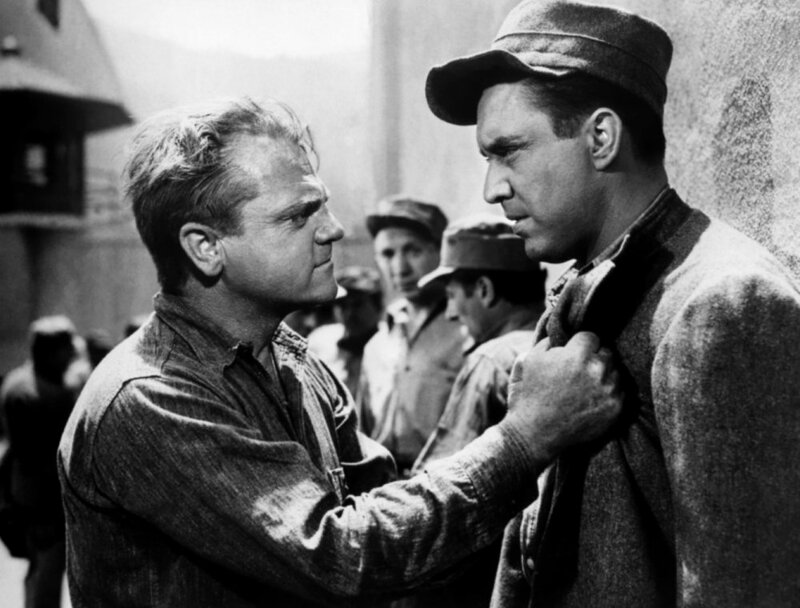 will march on TCM Wednesday, January 3 at (early morning) 4:30am PST. 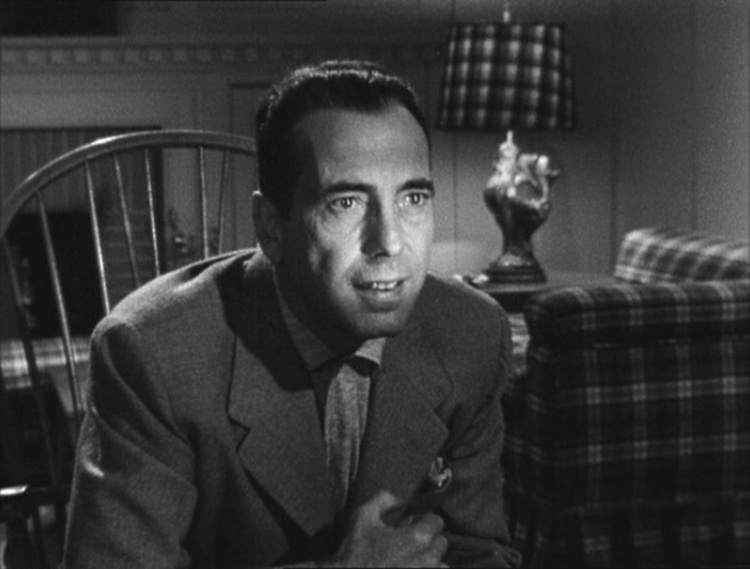 Don't miss Nicholas Ray's intensive study of a most unusually disturbed character, In a Lonely Place with Humphrey Bogart perfectly cast as Dixon Steele whose unpredictable explosions of anger make him a prime suspect for the killing of a young ingénue. This highly probative film noir, previously recommended here, will arrive Sunday, January 7 at 5pm PST. For an uproarious and thoroughly engaging movie-watching experience, it's hard to beat Bringing Up Baby previously recommended here. The antics will begin on TCM Thursday, January 11 at 3pm PST and will repeat Saturday, January 27 at 7am PST. Released in 2007, Into the Wild concerns the true-life adventures of a young college graduate, Chris McCandless, who decides to disconnect from family, established societal and materialistic values, travel across the country and eventually live in the Alaskan wilderness on his own. Inspired by the writings of Thoreau and London among others, Chris' ultimate fantasy of communing with nature turns into a tough reality that eventually overwhelms the young romanticist. Sean Penn has both written the screenplay from Jon Krakauer's book and directed this most impressive film. Less sophisticated directors might have either leaned toward idealising McCandless and his adventuresome spirit or criticising his naivety regarding independent survival in such a harsh landscape with only the slightest means of support. Penn, with great insight, is able to present these and other perspectives while admirably restraining from taking a moral stance of his own. His reserved but mature storytelling allows us to "find our own way" and fully engage in the many fascinating and diverse characters whom Chris encounters during his journey, while also gaining a deeper understanding of Chris through their eyes. There are dedicated performances from a large ensemble cast, with Emile Hirsch as Chris McCandless and Hal Holbrook as Ron Franz superlative standouts. Highly personal 'journey of discovery' films like Into the Wild tend to polarise audiences. On the one hand, many will determine Chris' story to be bold and inspirational, finding him commendable for "marching to his own beat". Others will see the person and his dream as reckless, insensitive to others and foolish. If instead of "taking sides", however, viewers can take a page out of filmmaker Sean Penn's book and suspend judgement, immersing themselves in the voyage itself, such a distinctively introspective character study like this one, that is so well made with courage, restraint and conviction, can be extraordinarily enlightening. There's also our ability to relate at stake here. As flawed as his character may be, Chris' final journal entry and peace with himself can be an emotionally potent, spiritually profound revelation, particularly for those who place empathy before virtue. Also divisive amongst subscribers is TCM's decision to present such recently released films. Hopefully for the unfamiliar, that will not stop them from watching one of the new millennium's finest. Travel into the wild Friday, January 12 at 10:30pm PST. 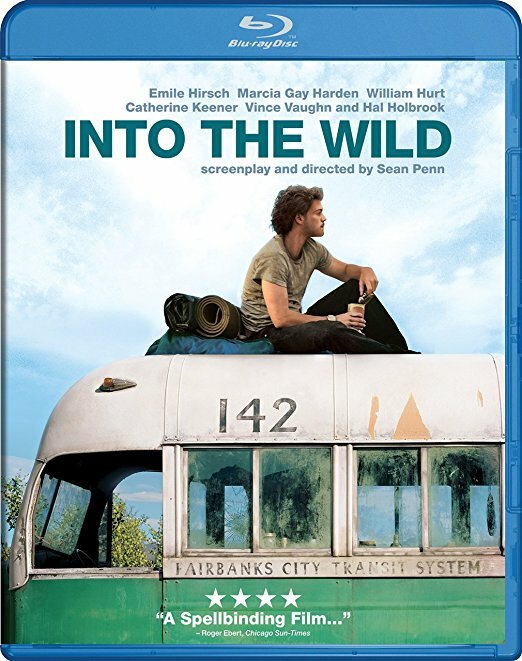 Into the Wild is also January's Blu-ray recommendation (see below). The Narrow Margin, a film noir bonafide classic, is a previous TCM recommendation here. This little firecracker is set to explode Saturday, January 13 at 7:15pm PST. 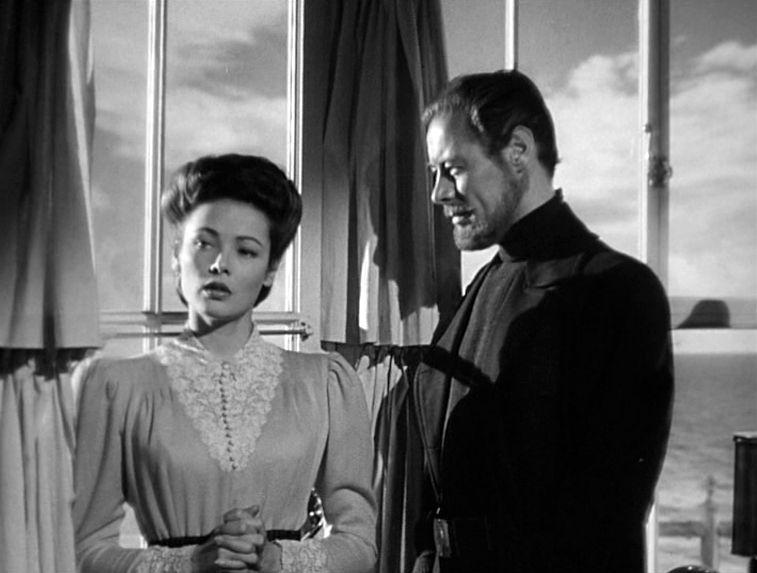 Perfectly appropriate for the romantically inclined is The Ghost and Mrs. Muir. Its sublime depiction of supernatural romance is enhanced by the intelligence and maturity of the artists who guide us through a profound exploration of love's true nature and spiritual acceptance. It has previously been recommended here. The romance will commence Sunday, January 14 at 5pm PST. My next TCM recommendation is The Shop Around the Corner, previously recommended here and will open for business and our viewing pleasure Wednesday, January 24 at 3:15pm PST. Immediately following The Shop Around the Corner is filmmaker Gordon Parks' autobiographical debut film The Learning Tree. This touching coming of age story was previously lauded, along with its creator Parks, in an article entitled: Exploring the Artefacts #5: The Alchemist. Included are some clips of Parks' music compositions for The Learning Tree and Shaft's Big Score. The Learning Tree can be studied Wednesday, January 24 at 5pm PST. Late in the evening that same day is the unmissable Busby Berkeley extravaganza Footlight Parade also a previous TCM recommendation here. Let the show begin Wednesday, January 24 at (late evening) 2am PST. In the mid-60s, independent filmmaker Monte Hellman directed a couple of extremely low-budget but highly distinctive westerns made back to back, The Shooting and my next TCM recommendation Ride in the Whirlwind, previously reviewed here. The whirlwind will pass through TCM Thursday, January 25 at 7:15am PST. 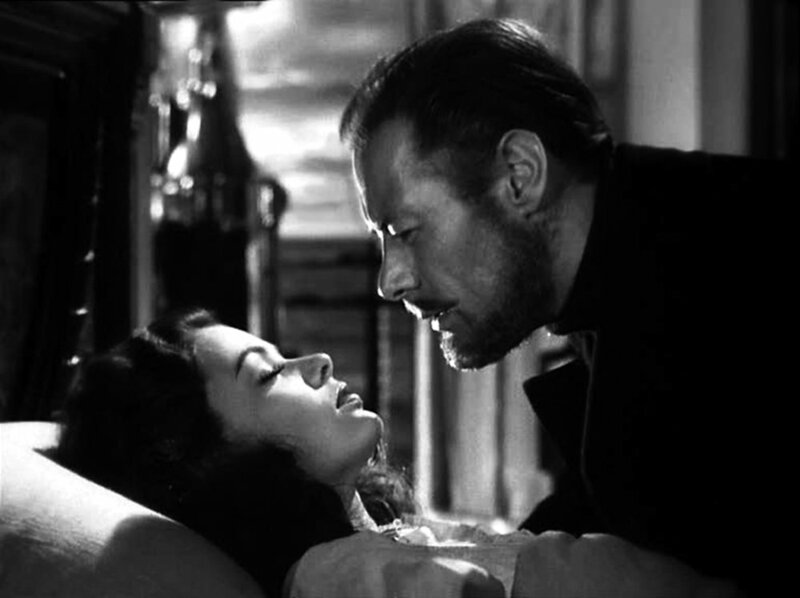 A criminal's mother-fixated pathology and the undercover cop trying to catch him are the topics of an undisputed film noir, White Heat, a previous recommendation here. TCM's screen will heat up Saturday, January 27 at 5pm PST. Immediately following White Heat is another top of the line film noir with Edmond O'Brien, this time starring in, D.O.A. previously recommended here. His "dead man walking" will arrive on TCM Saturday, January 27 at 7:15pm PST. Rounding out an Edmond O'Brien triple-header is the actor's superb, almost unrecognisable, character role of Freddie Sykes in Top Ten Western #1: The Wild Bunch also on Saturday, January 27 at 8:45pm PST. Act of Violence, Born to Kill, D.O.A., Impact, Kiss Tomorrow Goodbye… These titles shout "NOIR" from the top of skyscrapers. Tomorrow is Another Day? Wait, what? Is this some pretentious sequel to Gone With the Wind? Not on your life. It’s just a fancy “A” name for a torrid little “B” movie (or second feature) that’s as authentically noir as any of the other aforementioned films. 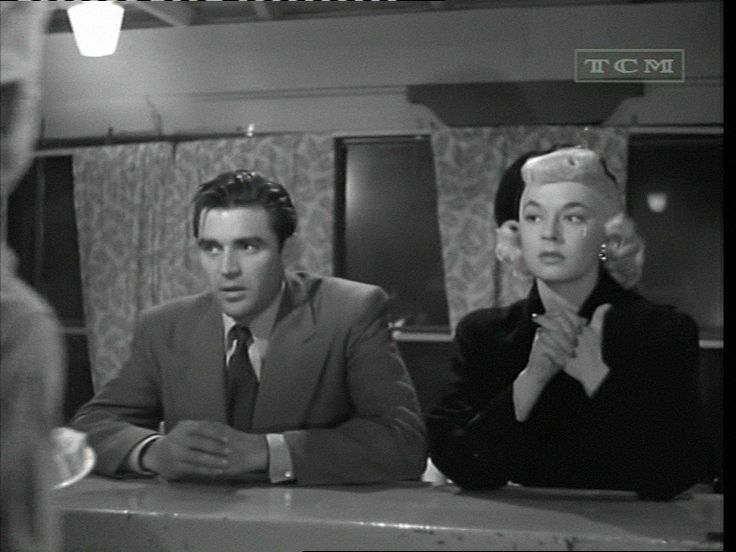 You don’t get more second-string than director Felix Feist paired with stars Ruth Roman and Steve Cochran. Feist has, however, made some nifty films noir, such as The Devil Thumbs a Ride, The Threat and The Man Who Cheated Himself. And although Roman and Cochran rarely headlined their more prestigious projects, each provided solid support to a few noteworthy “big leaguers”: The Best Years of Our Lives and White Heat elevated by Cochran, with Champion and Strangers on a Train enhanced by Roman. Tomorrow is Another Day envelops the noirephile with its unique twist on a familiar opening premise. Ex-con Bill Clark is about to try and make his way outside prison walls, only this time he’s spent his entire formative years behind them. Clark was incarcerated at only 13 years of age for killing his abusive father. Now in his early 20s, he’s a lonely and awkward child in an adult’s body, hardened by prison but still innocent and naive especially around women with whom he has practically no social experience. When he meets the cynical dime-a-dance girl Catherine ‘Cay’ Higgins, it's electrifying to watch, due to the creative manner in which their identities are revealed and subsequent relationship developed. There's a compelling screenplay by Art Cohn and Guy Endore, the dedicated and naturalistic performances by Steve Cochran and Ruth Roman, and Felix Feist’s assured direction. In addition, Tomorrow Is Another Day has the participation of a real heavy hitter craftsman: Alfred Hitchcock’s go-to cinematographer Robert Burks who keenly observes the proceedings with his customarily imaginative “eyes”. After the murder of a dirty cop ensues, these two go on the run and their relationship begins to solidify. Noir purists may be disappointed in these latter, more melodramatic turn of events, but the film’s basic integrity does not falter. Even its title admittedly provides an appropriate beacon of hope considering our couple’s equally as appropriate noir-like dire circumstances. Tomorrow will come Sunday, January 28 at 7am PST, and will be introduced by noir expert Eddie Muller for TCM's Noir Alley. Next on my list of films to watch is King Kong (1933), who's scheduled to make his grand entrance on Tuesday, January 30 at 5pm PST. I have previously reviewed this film with a focus on its musical score here. My final recommendation for the month is Straight Time. This is Hidden Gem #51 and benefits greatly from its strong authenticity due to having been made from ex-con Edward Bunker's novel, the author's participation in writing the screenplay and consultation during production. 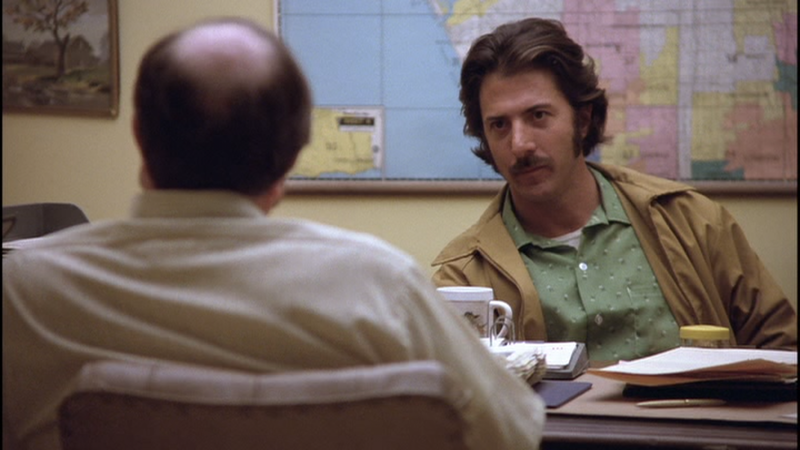 Plus, director Ulu Grosbard provides his customarily derived natural performances from an incredible ensemble cast (chosen by the film's star Dustin Hoffman). The prisoner is being released on TCM Wednesday, January 31 at 7pm PST. This month's Happy Birthday shout-out goes to Italian actress Daniela Bianchi who turns 76 on January 31st. She is best known for her alluring role posing as the Russian defector Tatiana Romanova in the 1963 Sean Connery/James Bond classic From Russia with Love released in 1963. Daniela went on to play Richard Chamberlain's love interest in a 3-part episode of the popular TV series Dr. Kildare (1964) entitled "Rome Will Never Leave You" and appear in a few French and Italian films. One of those was the Italian made (although filmed in English) Operation Kid Brother a.k.a. OK Connery (1967), a James Bond spoof starring Sean Connery's brother, Neil Connery. January's Soundtrack recommendation is The List of Adrian Messenger composed by Jerry Goldsmith. This has to be one of the maestro's most creative and memorable scores. It features a wildly infectious main melody: moody, haunting and absolutely perfect for the sinister and mysterious activities his score accompanies. An additional highlight is Goldsmith's thrilling music that greatly enhances the final fox hunt scenes. This landmark score was made available from Varese Sarabande as part of the company's CD club and is a limited edition (3000 copies). Luckily for soundtrack enthusiasts, there are still some available as of this writing, so act fast. More information and international ordering is available directly from Varese Sarabande by clicking on the image. January's Blu-ray recommendation is the above reviewed Into the Wild. This gripping adventure can be ordered from Amazon.com (currently at a very reasonable price) in the U.S. by clicking on the image.